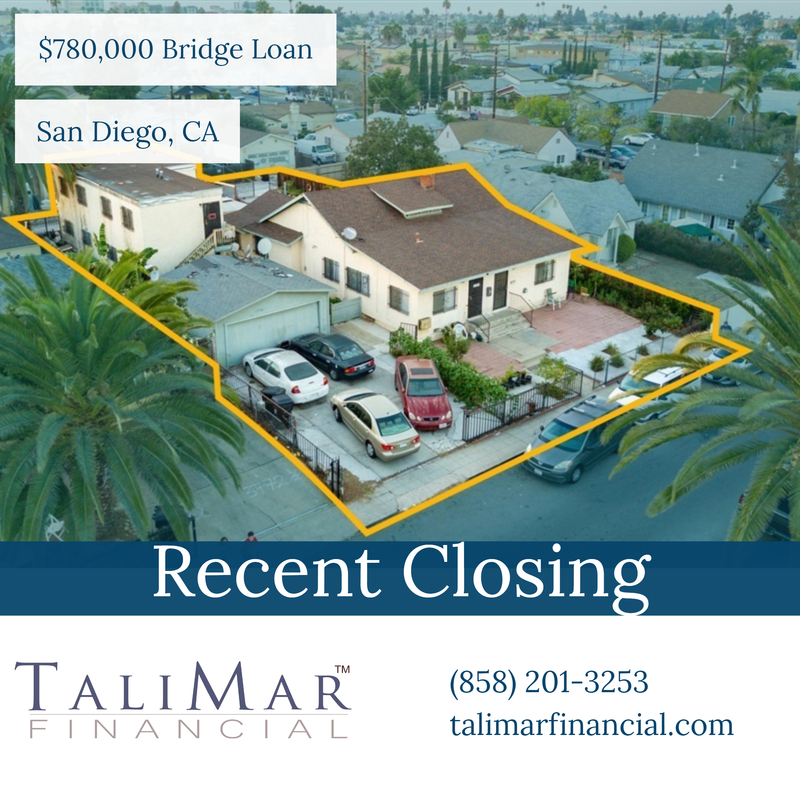 San Diego, CA – TaliMar Financial is pleased to announce its recent funding of a $780,000 bridge loan secured in 1st position on a fourplex located in San Diego, CA. The Borrower approached TaliMar Financial seeking financing for the purchase and renovations of the four units. Once renovated and fully leased, the Borrower will seek conventional financing.